A riveting new novel from New York Times bestselling and Edgar Award-winning author C. J. Box. The ties that bind can burn you. Former sheriff’s investigator Cassie Dewell is trying to start her life over as in private practice. She’s her own boss and answers to no one, and that’s just the way she likes it after the past few tumultuous years. All that certainty changes when an old friend calls in a favor: she wants Cassie to help exonerate a man accused of assaulting a young woman from an influential family. Against her own better judgment, Cassie agrees. But out by the Bitterroot Mountains of Montana, twisted family loyalty runs as deep as the ties to the land, and there's always something more to the story. The Kleinsassers have ruled this part of Montana for decades, and the Iron Cross Ranch is their stronghold. They want to see Blake Kleinsasser, the black sheep of the family, put away forever for the assault. As Cassie attempts to uncover the truth, she must fight against a family whose roots are tangled and deadly—as well as the ghosts of her own past that threaten to bring her down. With The Bitterroots, master storyteller C. J. 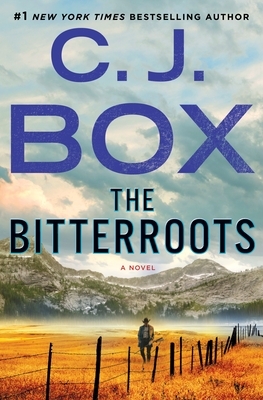 Box delivers another searing novel of loyalty, lies, and lethal retribution.